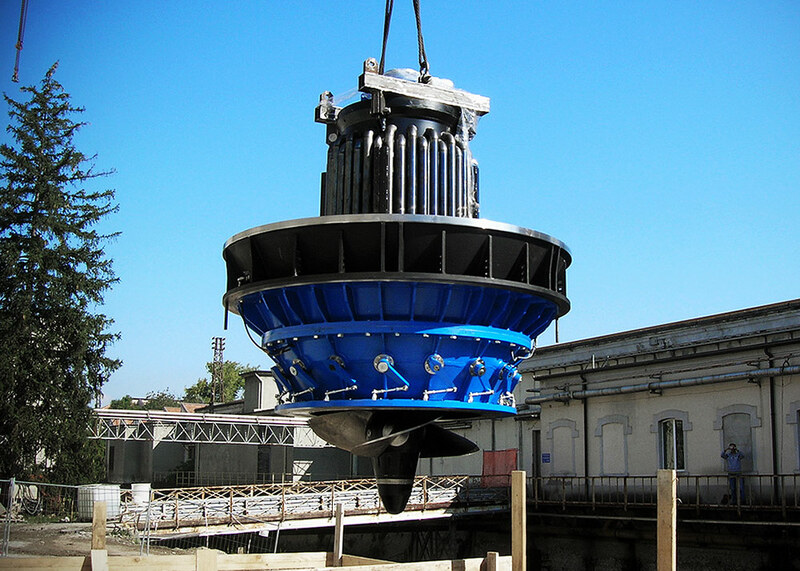 Submerged Kaplan Turbines represent the evolution of Kaplan turbines and they are thought to minimize the environmental impact by power plants. 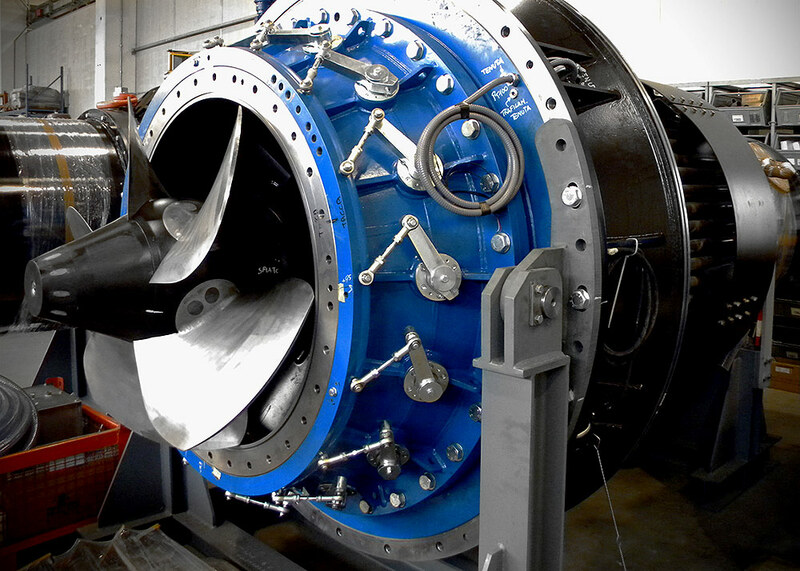 These machineries have the generator directly coupled to the turbine shaft, in a high compact solution, suitable to be installed under water level. 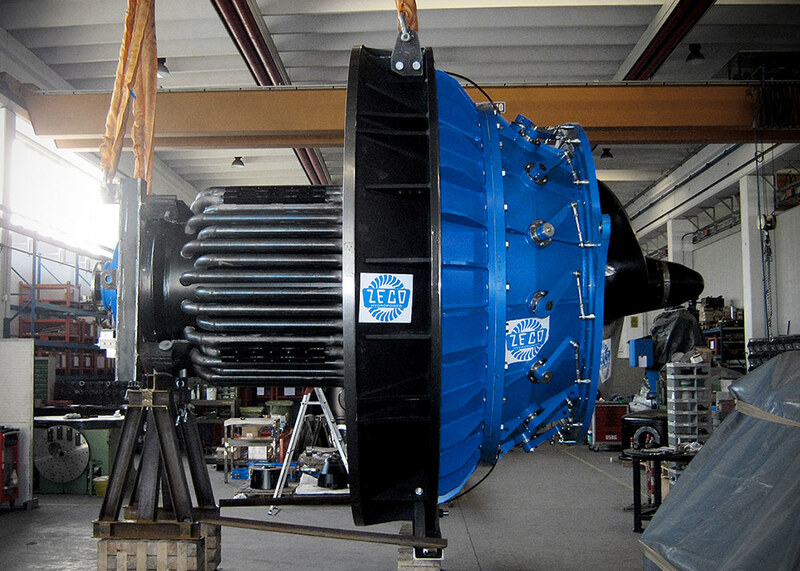 The compact solution improves the hydraulic behavior of the bulb unit and also results in a lower need for excavation. 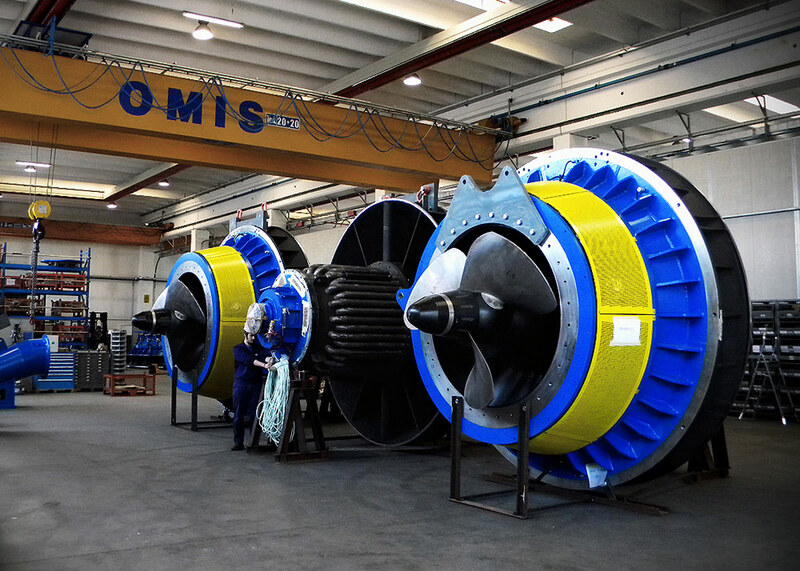 This allows reduced size and thus low investment costs and civil works requirements. 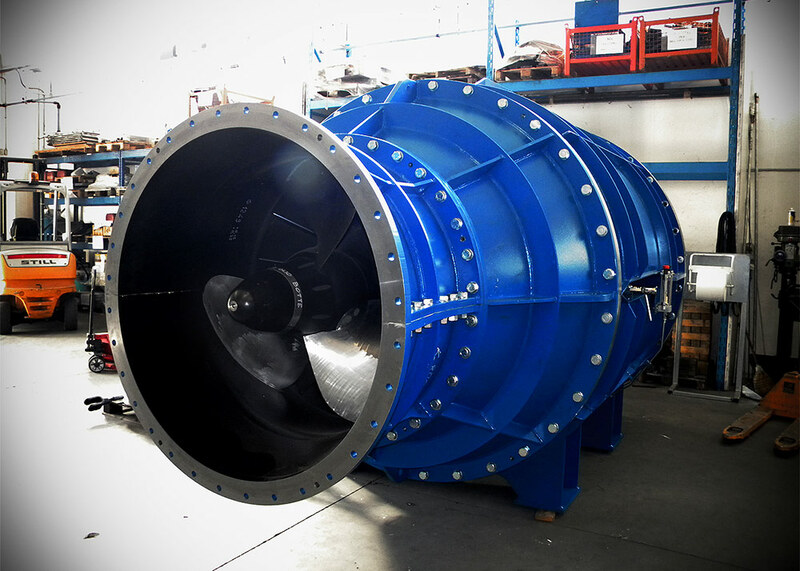 Bulb Turbines can be provided in vertical or horizontal solution, according to the hydraulic data and the site characteristic.